President Muhammadu Buhari joins indigenes of Kwara state and other dignitaries to celebrate the Emir of Ilorin, whose reign on the throne has bring in an era of peace, development and prosperity for his people, President Buhari’s congratulatory message is contained in a statement issued by his Special Adviser on Media and Publicity, Mr Femi Adesina, in Abuja on Saturday. The president commends the traditional ruler for his simple, disciplined and modern leadership style, which he has translated into remarkable developmental strides by promoting the values of good education, harmonious living, tolerance for divergence and the power of collective, progressive investments. 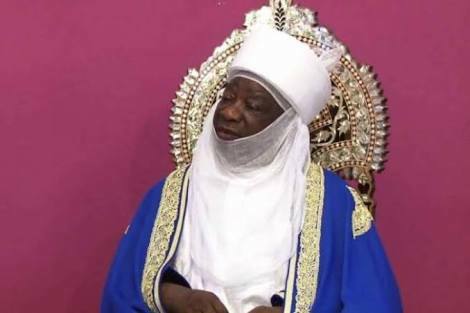 President Buhari re-affirms that the Emir of Ilorin, who is also the Chairman of the Kwara State Traditional Council, has contributed tremendously to the development of Nigeria, starting out early as a lawyer and later a jurist, and regularly providing wise counsel to leaders and serving the nation dutifully whenever he was called upon. The president believes the Emir of Ilorin’s love for learning and advocacy for good education in the country will always stand him out, especially his experience of serving as chancellor to several Nigerian universities. President Buhari prays that the almighty God will grant the traditional ruler longer life, good health and wisdom to keep serving the country.